The next Parish Council meeting will be held on Tuesday 20 March 2018, at 7.30pm, in the Village Hall Committee Room. The agenda will be posted about a week before the meeting. Please find below the agenda for the next Parish Council meeting, being held on Wednesday 24 January 2018, at 7.30pm, in the Village Hall Committee Room. 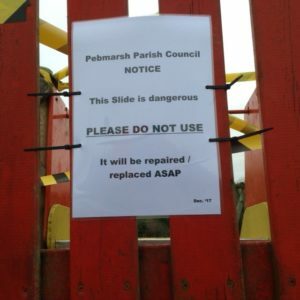 Please be aware that the slide in the playground is currently not safe to use and has been cordoned off by the Parish Council. Please don’t let children climb on the equipment. 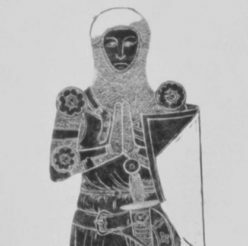 The Parish Council are looking into options for repair or replacement.